Are you aware of the number of celebrities who have served our country? Funnyman Drew Carey served in the US Marine Corps, singer James Blunt was a Drone Pilot and talk show host Steve Wilkos was a former marine! Wilkos has been an enthusiastic supporter of our BFF bracelets and has even shared our initiative with his fans! “I’m proud to be a former marine and glad to be part of the initiative. Hopefully, through my talk show audience, we can continue to get the word out for this terrific cause.” We hope so too, Steve! You can tune into the premiere of “The Steve Wilkos Show” on Monday, September 13th. 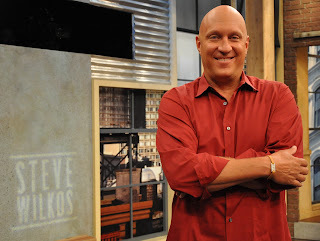 Check out his website: www.stevewilkos.com for local listings. Welcome to the BFF family, Steve!